MANHATTAN -- Food packages and medicine bottles often list a dizzying array of chemicals and ingredients on their labels. But for Kansas State University chemistry major Angela Grommet, reading the ingredients isn't confusing -- it's interesting. Grommet was introduced to chemistry in high school and has never looked back. "I thought it was the most interesting subject I had ever studied. It explained so many things about the world in which we live," she said. "Today I think of chemistry as a tiny 3-D puzzle on which all things depend -- it's fascinating." Grommet's interest in chemistry has led her to the research lab, where the sophomore from Wichita is studying the use of co-crystallization to manipulate the aqueous solubility of diclofenac, a painkiller used to treat rheumatoid arthritis. Diclofenac has two forms: one dissolves in the bloodstream quickly, while the other barely dissolves. The goal of the research is to develop a form of the drug that dissolves at a rate between the two, creating long-lasting pain relief instead of instant pain relief. Grommet has been conducting her research with Christer Aakeroy, professor of chemistry, since January 2010. So far her project has revealed that chemists have the knowledge to change the natural binding patterns of compounds like diclofenac. "We've discovered 12 compounds that co-crystallize successfully with diclofenac," she said. "These co-formers were carefully selected because they possessed hydrogen bond acceptor sites, which were more attractive than the acceptor sites on diclofenac itself." Limiting pain is also the focus of Grommet's other research project, which has been ongoing since June 2010. The project is attempting to combine two separate and compatible drugs into a single unit. This new drug would have the ability to fight pain and cancer simultaneously. The two drugs will be combined at the molecular level through co-crystallization. "Our goal is to show that different active pharmaceutical ingredients can be co-crystallized together," Grommet said. The research has already revealed eight different anticancer agents that co-crystallize successfully with diclofenac during solvent assisted grinding. Grommet is conducting the research with Aakeroy. Currently, crystals are being grown to submit so the structure of the new co-crystals can be determined. For a student with such diverse research interests, Grommet entered K-State unaware of how much she would enjoy the process. "The faculty here could not be more supportive of undergraduate research," she said. "My success thus far is largely a tribute to my mentors at K-State." Grommet graduated from Andover High School in 2009. She is the daughter of Gary and Anne Grommet, Wichita. 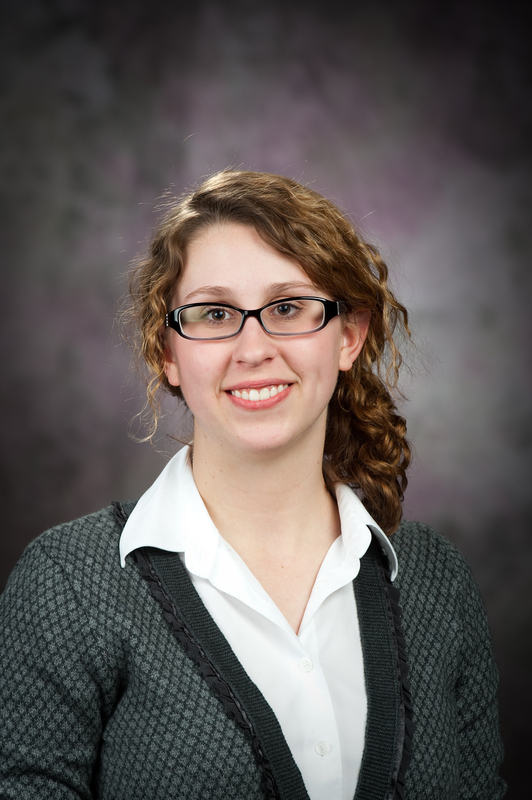 She also was one of K-State's four nominees for the 2011 Barry M. Goldwater Scholarship.